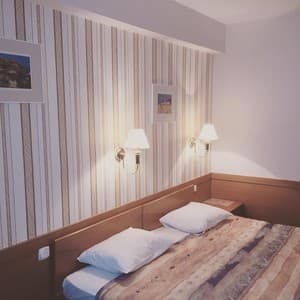 The Adria Hotel is located on the left bank of the Dniper River, almost at the metro station «Livoberejna» close to the international exibition centre. 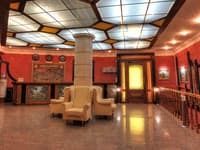 The Adria Hotel is a world of comfort. 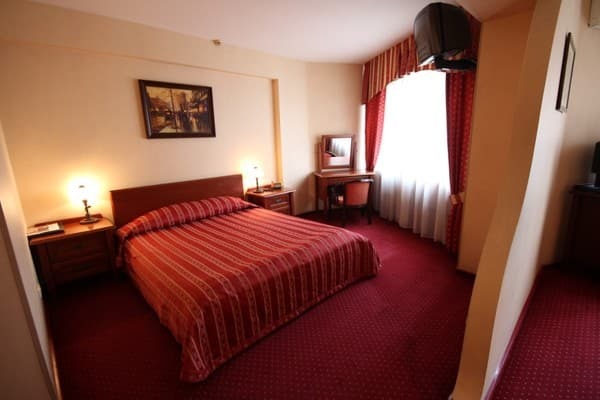 Description of the room: Cozy room with single bed. Price may vary depending on dates of stay! In case of no-show on the first day of the booked dates of residence, please notify the hotel, otherwise the booking will be removed automatically. 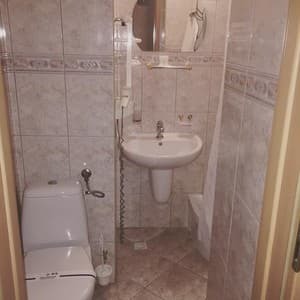 Description of the room: Room facilities: two single beds. Price may vary depending on dates of stay! In case of no-show on the first day of the booked dates of residence, please notify the hotel, otherwise the booking will be removed automatically. 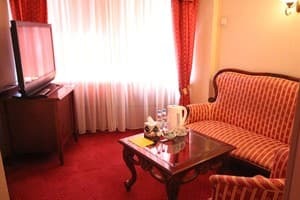 Description of the room: In our Hotel is an atmosphere of European comfort. 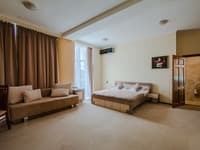 All hotel rooms are equipped with: an air-conditioner, a private shower, a hair dryer, a satellite television, a mini-bar, the international direct dial telephones, the Internet WI-Fi access. In case of no-show on the first day of the booked dates of residence, please notify the hotel, otherwise the booking will be removed automatically. 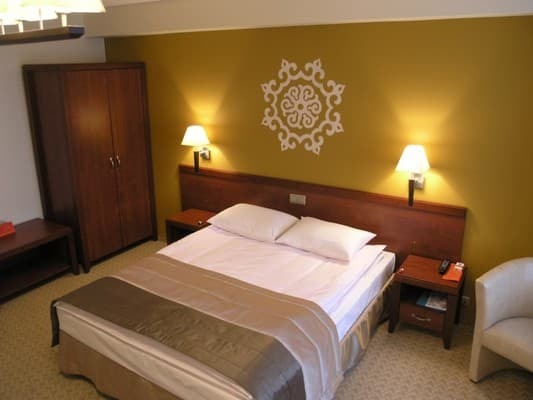 Description of the room: Spacious room equipped with a double bed. Price may vary depending on dates of stay! In case of no-show on the first day of the booked dates of residence, please notify the hotel, otherwise the booking will be removed automatically. 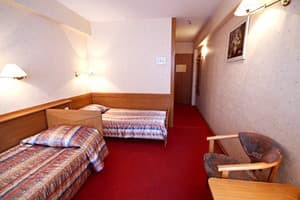 Description of the room: Room is equipped with two separate beds. Price may vary depending on dates of stay! In case of no-show on the first day of the booked dates of residence, please notify the hotel, otherwise the booking will be removed automatically. 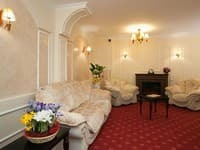 Description of the room: Room is equipped with a double bed and a seating area. Price may vary depending on dates of stay! In case of no-show on the first day of the booked dates of residence, please notify the hotel, otherwise the booking will be removed automatically. Children under 6 years are free. All children from 7 to 12 years are charged Uah 14 (for adults are 13) of the full cost of standart room per night and person for extra beds. In the hotel building there are 3 restaurants: Ukrainian, Italian and Japanese cuisine, as well as a bar with alcoholic beverages. 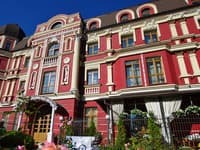 The Adria Hotel is located on the left bank of the Dniper River, almost at the metro station «Livoberejna» close to the international exibition centre. In 12 km from the centr of the city, 15 minutes by car. 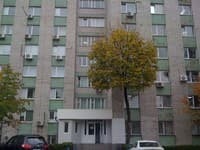 In just 17 km or 20 minutes by car from the railway station , In just 14 km or 15 minutes by car from the bus terminal, In 30 km or 30 minutes by car from the International airport «Borispol».